I had to get this episode out early. This one is about over thinking and analyzing stuff too much. 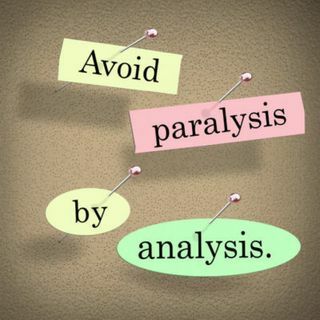 In this episode, I wanted to give you some things to recognize when it comes to paralysis by analysis. I think it's something that we all suffer from when making decisions. Check out the show on iTunes, iHeartRadio, Spotify, Spreaker, and Google Podcasts. Thanks for listening.